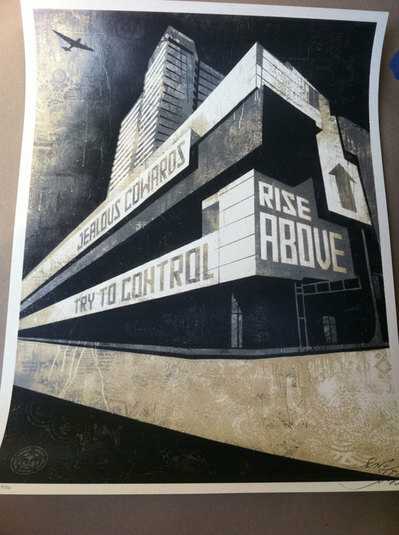 I picked up the new Shepard Fairey CAC Canvas print over the weekend. They’re available now at the CAC for members for $45. The Canvas prints seems to be Shepard Fairey’s new style that captures the collage elements of his fine art pieces. This one is printed with black, cream, and silver inks. I like it better than the red ones that we released at the opening. Shepard Fairey’s exhibit at the CAC closes August 22.